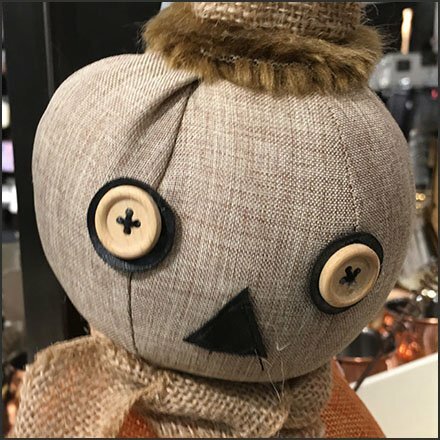 Part merchandise, part visual merchandising hero, this Handcrafted Halloween Pumpkin Head Doll by Nordstrom sets the tone for Fall and the Holiday. Hand sewn button eyes (and shirt fasteners) say “handcrafted” like nothing else. See this and other seasonal treasure by touring the Nordstrom at the Mall at Short Hills, Chatham NJ.